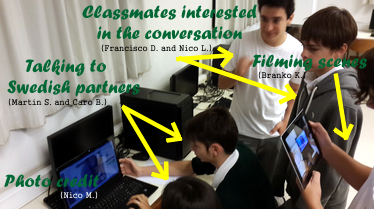 A few months ago both schools connected by videoconference, now pairs from these two countries have to connect on their own, to carry out the PROJECT. 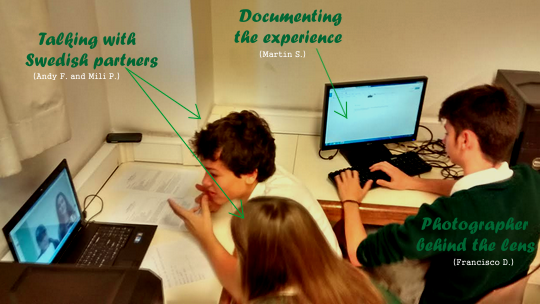 The goal is to compare two different cultures and opinions in three aspects: FAMILIES, FRIENDSHIPS AND SCHOOL. In both countries family is very important and spending time with them is highly valued. In Sweden, like Weronika stated, parents usually have a close relationship with their children after they move out at the age of 18, so they always spend holidays together. In Argentina families also have a close relationship. Meals in both countries is the time when family gets together. Therefore, families try to leave other things behind so they can eat all together. On Sundays in Argentina many families gather to have an Asado, an Argentine barbecue, where they eat meat with salad or french fries and have a pleasant time with family members. In Argentina when parents get divorced, they try to have a good relationship for the benefit of their children. In both cases friends are really important. Weronika said that in Sweden she spends a lot of time with her friends and that they know her better than anyone else. She also said that she meets a lot of new people in activities outside school. That is similar to Argentina, where we appreciate our friends a lot. They are the family we can choose. In both countries teenagers spend a lot of time with friends, go out and have a good time together. 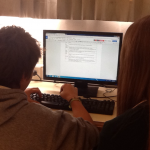 They also help each other with many things: problems, relationships and also things related to school. In both countries kids and teenagers have to go to school. In Sweden school starts at 8:00 a.m. and in Argentina it starts 15 minutes earlier. Argentinian school ends at 4:20 p.m. twenty minutes later than in Sweden. Unlike Sweden, in Argentina students have to pay for lunch. Both countries have a break after lunch. In Sweden students are given all the material for free. Argentinian students have to pay for all the school stuff. 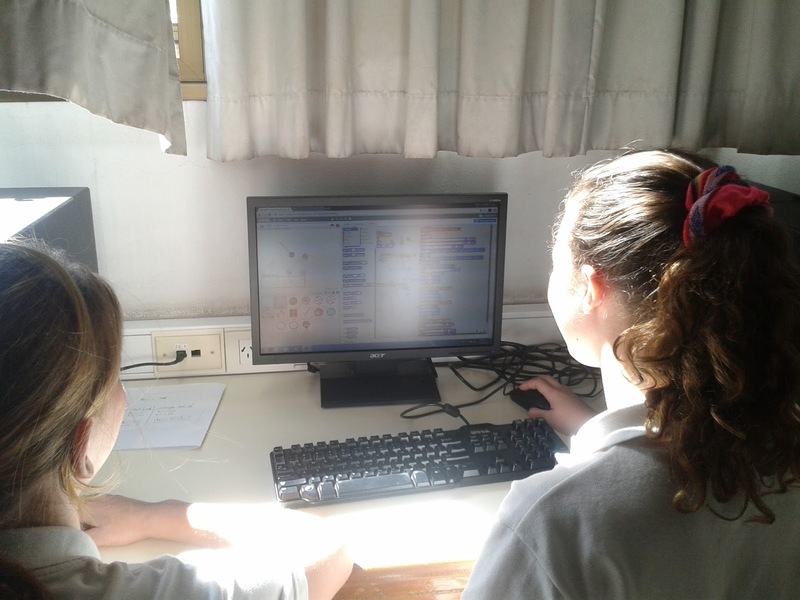 In both schools the students have a lot of projects, group activities. In Sweden if a student is late for class the teacher sends an email to the parents. In Argentina if someone is late, the teacher writes the name down in the class book. Here we have two hours of workshop while in Sweden they have baking and woodwork lessons. friends and family life is like in Sweden and Argentina. 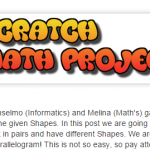 By: Weronika S., Berina K. from 3ºA, Sweden and Isabella P., Branko K., Guillermina S. from 3ºE, Argentina. Jueves 15 de octubre de 2015. 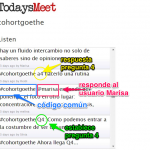 Una vez más, presas de las dificultades que pueden ocasionar los medios de comunicación, recurrimos a la aplicación Todaysmeet, una herramienta online gratuita, que permite crear una sala de chat temporal y privada, para conversar, en tiempo real, sobre un tema. 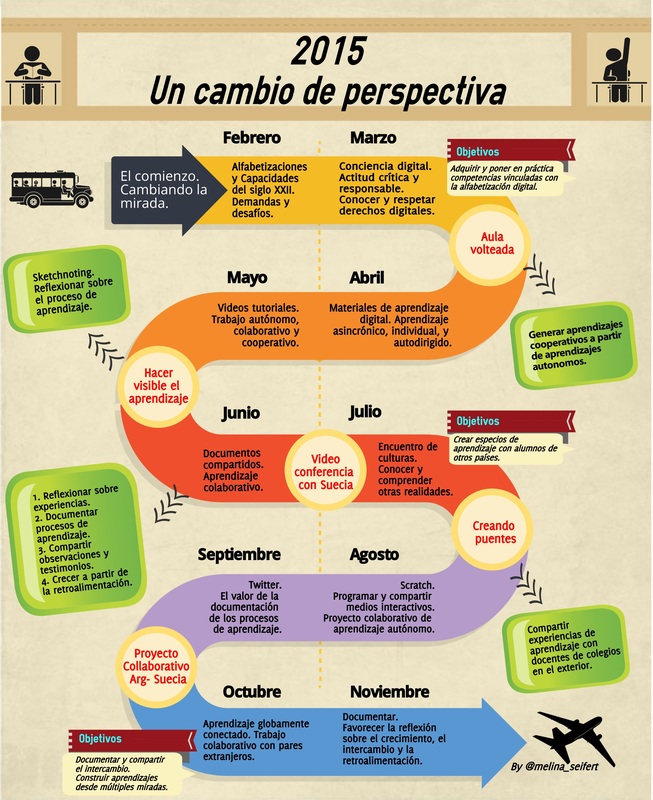 De esta manera suplimos la videoconferencia programada sin desaprovechar el espacio de encuentro y aprendizaje. 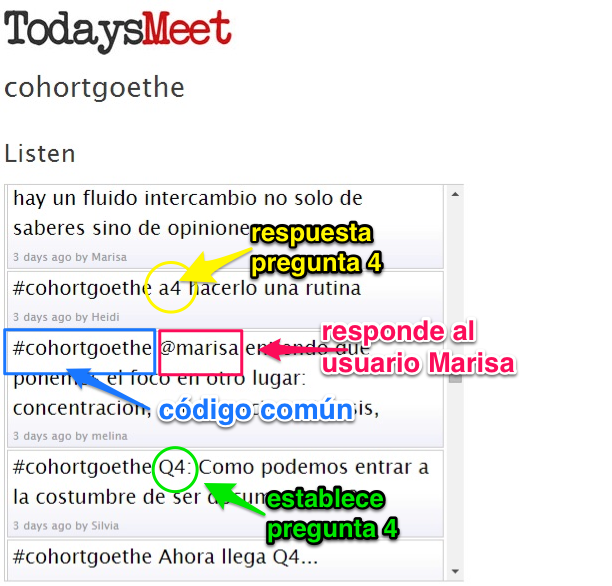 La propuesta consistió en recrear una especie de Twitter chat con la intención de experimentar y aprender de la participación. Letzten Donnerstag, den 8. Oktober war ich zu Besuch bei der EP 6B. Absicht war es, den Schülern der 6. Klasse der Primaria den Arbeitsstil einer Mathe- Stunde der Sekundaria darstellen. El pasado jueves, 8 de octubre visité el aula de EP 6B. 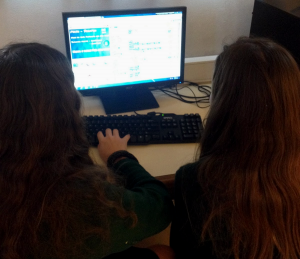 En el marco de la articulación entre EP y ES, la intención era ejemplificarle a los alumnos de sexto grado de la Primaria, el trabajo en la clase de matemática de secundaria. 3) Wiederholung der Fachausdrücke. Bedeutung. 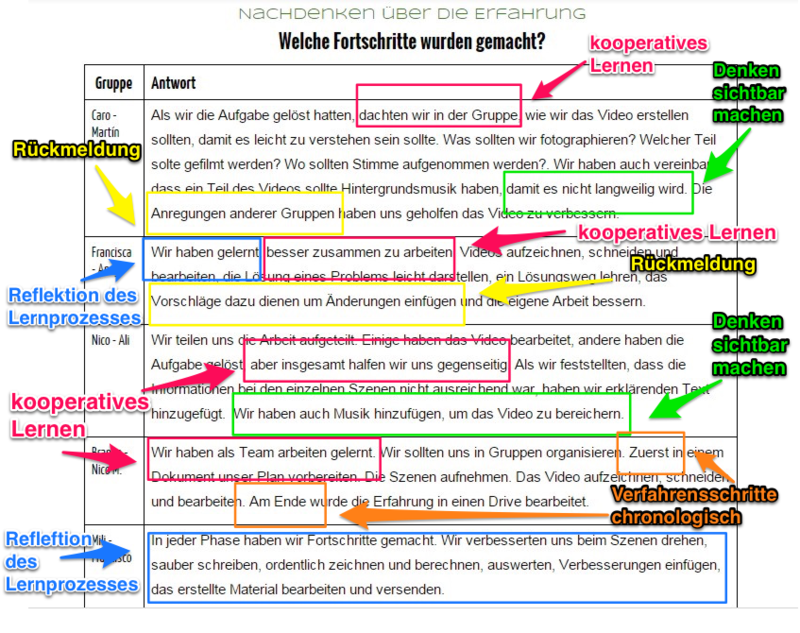 4) Gruppenspiel zur Übung der Rechenstrategien. 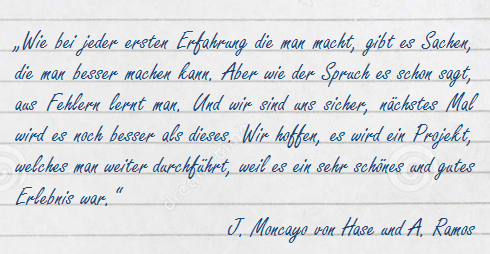 5) Auswertung. Abschied. 1) Presentación. 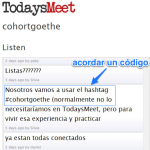 3) Revisión de vocabulario específico. Importancia. 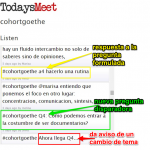 4) Juego grupal para ejercitar las estrategias del cálculo con decimales. Ich hoffe, ihr genießt das Video, das wir veröffentlichen, um mit euch kleine Szenen des Treffens zu teilen. Espero que disfruten del video que editamos para compartir con ustedes pequeñas escenas del encuentro. Schaut euch die Zusammenfassung von zwei Schülern an, die als Schreiber das Erlebnis dokumentierten. 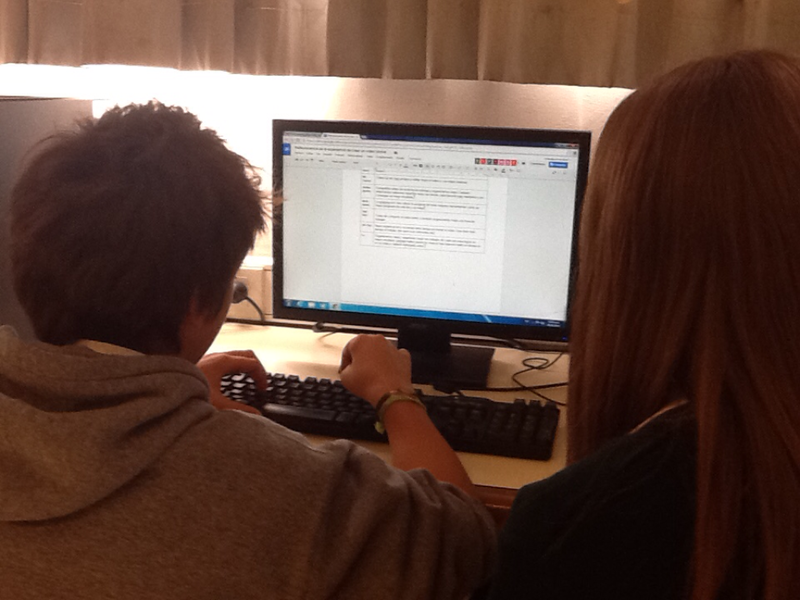 Echen un vistazo a la síntesis de dos alumnos que oficiaron de escribas, documentando la experiencia. Wir unterhielten uns ein wenig über den Mathe-Unterricht in der Sekundaria und stellten Fragen zum Thema. Wir wiederholten mit Melina ein bisschien mathematik Vokabular. Dann haben wir in Gruppen mit der „Interaktiven Tafel“ gespielt. Ein Spiel mit Dezimalzahlen, in dem jede Gruppe Punkte gewinnen kann, wenn man Aufgaben richtig löst. Melina erklährt uns das Spiel, wärend wir Rollen für das Spiel aufteilen. Fotograf ,Schreiber, Spielleiter, Gruppen, und mehr. Wir üben mit dem Spiel die Summe, die Differenz, das Produkt und der Quotient mit Dezimalzahlen. Es gibt verschiedene Gruppen, die erkennen wir mit Farben. Jede Gruppe sucht eine Multiplikations-, Divitions-, Additions- oder Subtraktion- Aufgabe aus und die Schwierigkeit: 10, 20, 30 oder 40 Punktewert. Es wird auch Video aufgenommen. Die Gruppe “Baum” hat gewonnen. Am Ende der Stunde sprachen wir zusammen was leicht/schwierig für jede Gruppe war. Sie erklärte auch, dass bei der Arbeit in Gruppen ist es wichtig, dass jeder Schüler der Gruppe etwas beiträgt. Schreiber: Mateo B.
Hablamos un poco sobre la clase de matemática en secundaria y preguntamos cosas sobre el tema. Repasamos con Melina un poco de vocabulario de matemáticas. Después jugamos en grupos al “Tablero Interactivo”, un juego sobre números decimales en el que había que resolver bien las cuentas y así cada grupo iba ganando puntos. Teníamos gente que sacaba fotos, un árbitro para el juego y dos chicos que tomaban apuntes. Cada equipo se representaba así: el rojo como auto, el azul como cielo, el verde como árbol y el amarillo como sol. Con el juego practicamos la suma, la diferencia, el producto y el cociente con decimales. Cada grupo se decide por un ejercicio y la dificultad. Si elegías por ejemplo el 20 de resta y la respondías bien, te daban los 20 puntos pero si respondías mal no te daban nada. Se clasificaba por 10, 20, 30 y 40, y había suma, resta, multiplicación y división. El grupo “árbol” ganó. Al final de la hora, Melina le preguntó a cada grupo que le costó más. Explicó también, que si trabajamos en grupo es importante que cada uno participe. Escriba: Alex M.
Ich bedanke mich für den freundlichen Empfang. Ich habe die Unterrichtsstunde sehr genossen. Gracias por haberme recibido en esta hora de clase. Disfruté mucho el tiempo compartido. Tonight I took part in my first twitter and it was amazing to feel that I was part of this. 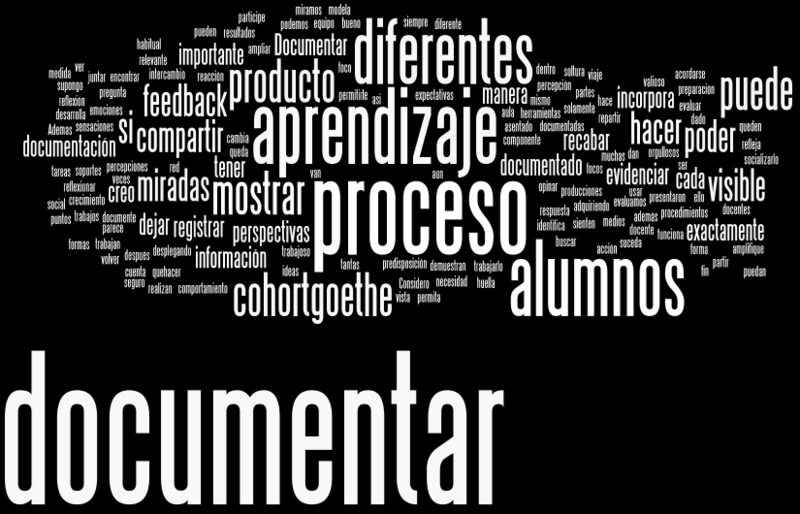 Attracted by the theme, which is the driver of my personal growth axis during this year, I could not refuse to access to this new concept of documentation focused on the professional exchange of perceptions, statements, comments, questions, reflections and insights of professionals committed to education. I share with you six tweets from this spring of ideas that did not stop sprouting. 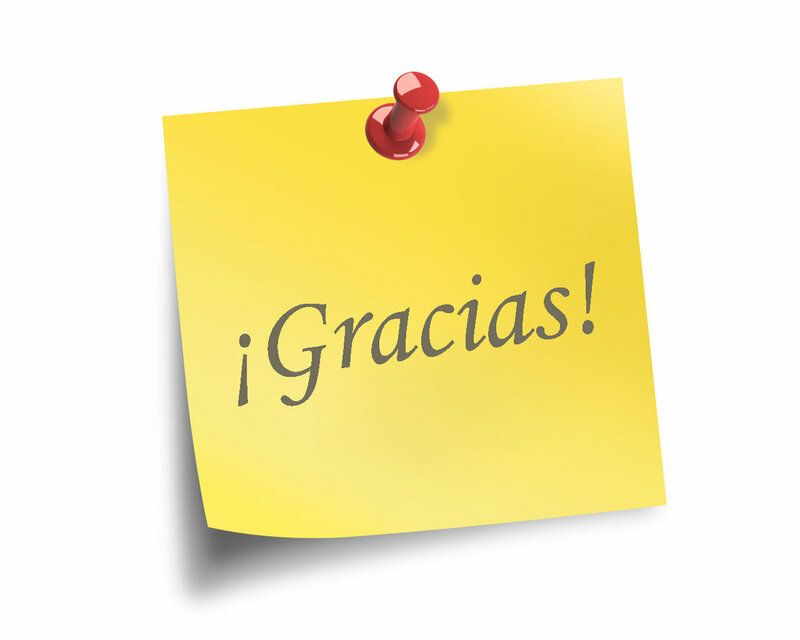 And although I recognize that in some moments I lost in comments, questions, associations and answers, I must say that I enjoyed it and I recommend you to participate. It has no waste! 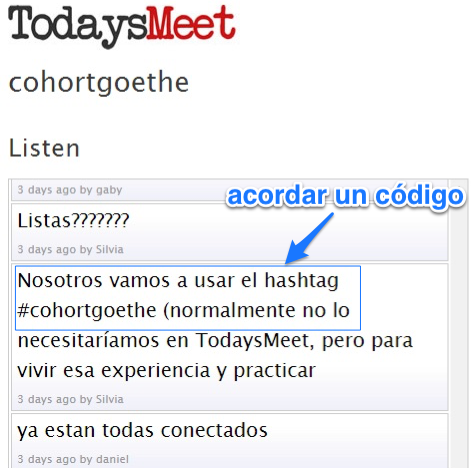 Esta noche participe de mi primer twitter chat y fue increíble sentir que estaba formando parte. Atraída por la temática, que es el eje conductor de mi crecimiento personal durante este año, no pude negarme a acceder a este nuevo concepto de documentación focalizado en el intercambio profesional de percepciones, afirmaciones, observaciones, preguntas, reflexiones y conocimientos adquiridos por profesionales comprometidos con la educación. Comparto con ustedes seis tweets de este manantial de ideas que no dejaban de brotar. 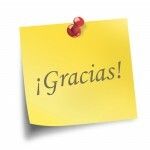 Y aunque reconozco que en algunos instantes me perdía entre comentarios, preguntas, asociaciones y respuestas, debo afirmar que lo disfruté y les recomiendo participar. 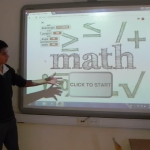 My students documented their first experience with Scratch. Hey there! 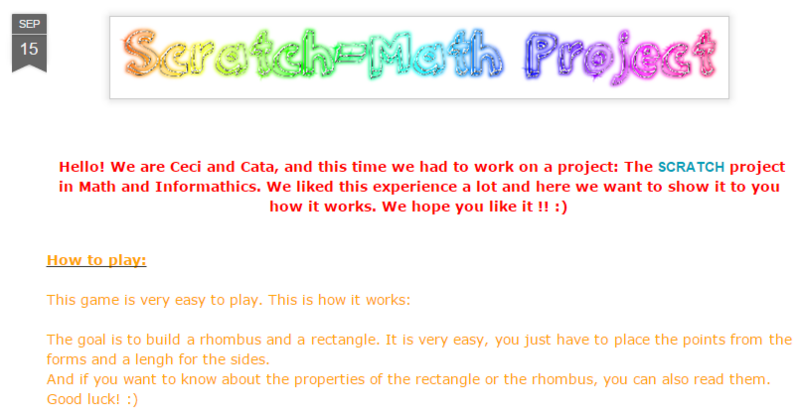 This trimester, we have been working in a Math project with our Math teacher on Scratch. 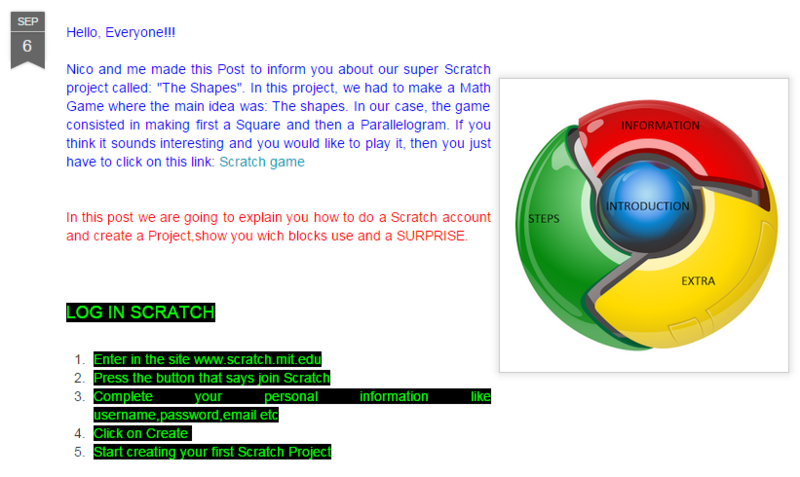 If you do not know what Scratch is, it is a programming language and an online community where you can program and share interactive media such as stories, games, and animation with people from all over the world. 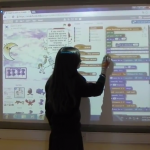 As you create with Scratch, you learn to think creatively, work collaboratively, and reason systematically. 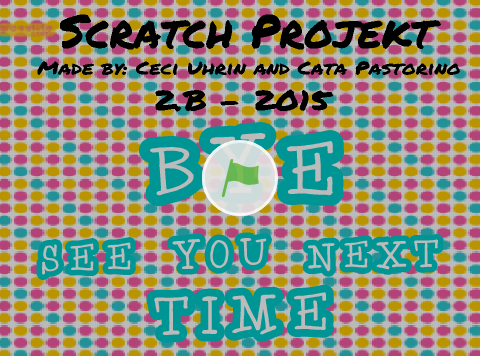 By Caro K. & Oli M.
Credits: Sofi H. & Martu L.
Credits: Nico P. & Franco B. Credits: Cata P. & Ceci U. At first gave us our teacher a paper with all the instructions. Make a Square. Your project must have 4 “pins”, and at least another character who is going to tell the player what he have to make. You have to draw a square with one point given by the user. The other points are going to move by themselves.You also have to explain what a Square is. 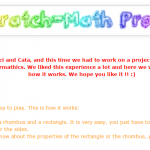 Make a Rhombus. Your project must have 4 “pins”, and at least another character, who is going to tell the player what he have to make. One “start” point are going to be given by the user. He also have to give the side length, and the degrees that your Rhombus are going to have. By Ivi S. & Fran B. Comments by Mica S. & Niki S.
First of all you have to choose your character (something to draw), then you choose other sprites to use as reference like this ones. We used a pencil to draw and pushpins as reference but you can choose the sprites you want. By Giuliano M. & Boris G.
When the backdrop switches, Hippo broadcast a message, clears the stage and puts the pen up ( He is not going to draw ). He is going to appear and tell you to move Star1 to a random position in the stage. After that he waits 2 secs and glides to the position of the Star1. 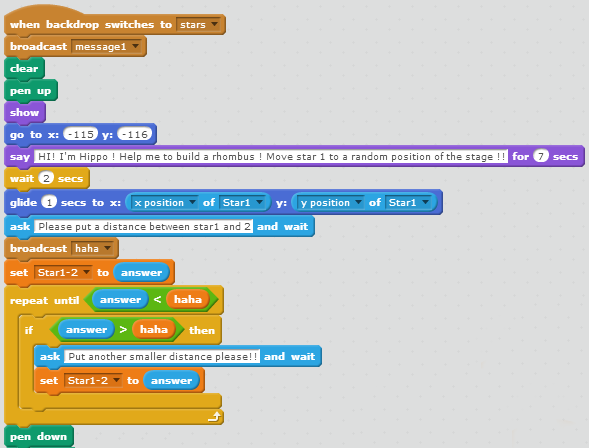 Hippo will ask you to insert a lengh of the rhombus , and he is going to save this answer in a variable ( Star1-2 ). If your answer is bigger than the variable „haha“ he will ask to enter a smaller distance. 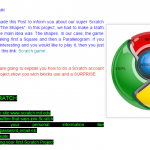 I don’t think that making my Scratch project was a torture, because I really enjoyed watching all the progress that I have done. 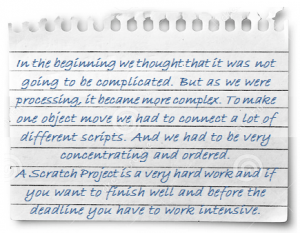 Scratch is very funny, and you need a lot of imagination to make a game, a character, or whatever. By Fran B. 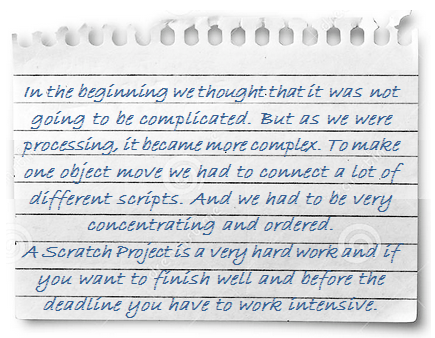 We think that the project was funny but at the same time it was a challenge for us to realize this complicated Shapes. It is a new experience and we recommended you to try it. 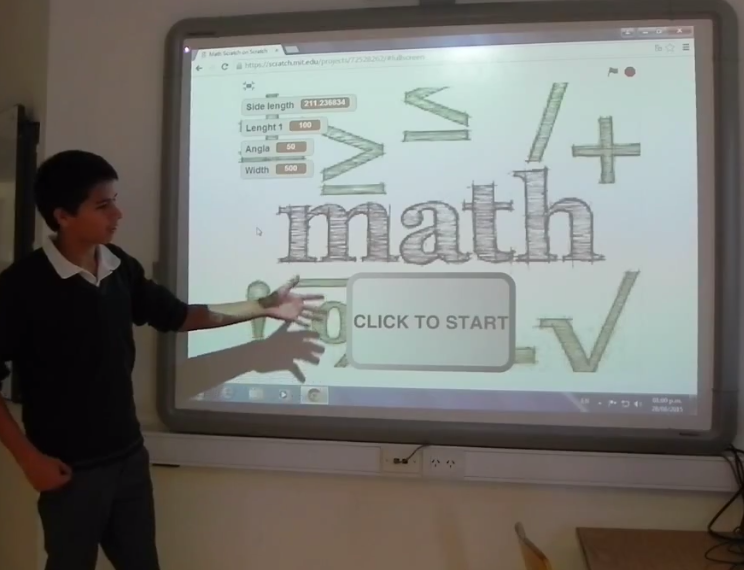 In the future we would like to try other maths projects like this. 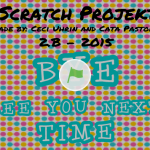 By Cata P. & Ceci U. Die reine Katastrophe oder ein gutes Erlebnis? Hallo, meine lieben Leser. Wir hatten die Möglichkeit, Zeuge an einem tollen Ereignis an der Goethe Schule von Buenos Aires zu sein. 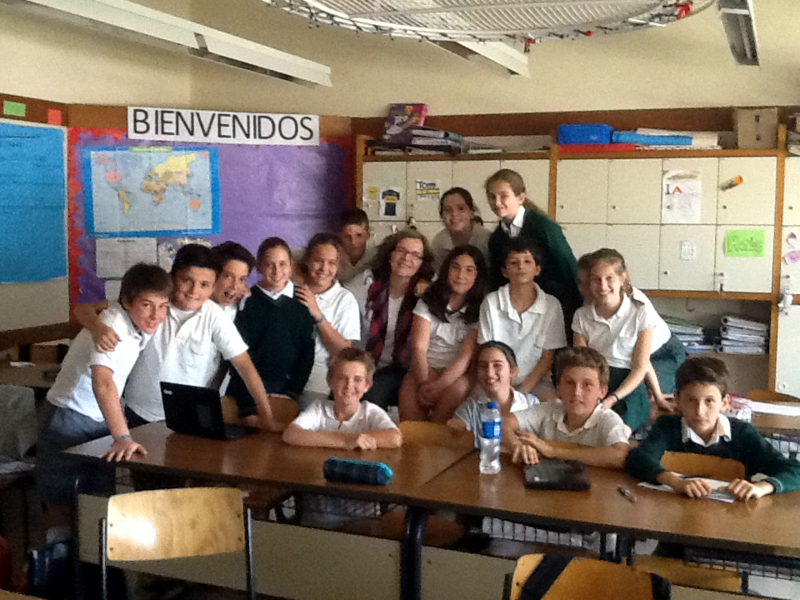 On June 2, 3A and 3E Goethe School students had the opportunity to experience a meeting of cultures through videoconferences with students of the Victoriaskolan of Sweden. El encuentro surge a partir de un proyecto conjunto entre docentes argentinos y suecos, con la intención de compartir espacios de aprendizaje con alumnos de instituciones educativas en el extranjero, enriqueciendo de este modo el desarrollo académico y personal de nuestros alumnos. The discussions were very fluid right from the beginning, it did not take long to „break the ice“, as expected. Sometimes the work was not very organized, for example, when a pair was talking with their foreign pair, some Argentinian students were standing and watching because it was something new and everyone was excited and interested about it. On balance, it has been a good experience as it enriched our vocabulary in English, and the people from Sweden seemed to be satisfied too. 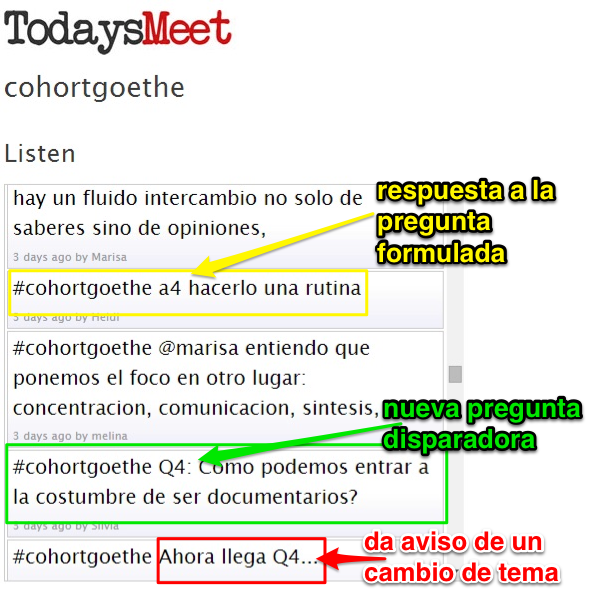 On the other hand, there were some technical and organizational problems that need to be improved for next videoconferences. En cada clase había alguien que documentaba (en español, en alemán y en inglés), alguien que tomaba fotos con su celular, alguien que grababa con los iPads y otros que hablaban en parejas con sus parejas suecas. La hora se dividió en dos turnos. Todos los alumnos hablaban con su pareja sueca en un turno, y en el otro hacían alguna de las actividades ya mencionadas. Buxhoeveden, M. Pruden y N. Morales. Lasalvia y M. Schmidt Meyer. Um miteinander Erfahrungen auszutauschen und unsere Gedanken über den Verlauf unseres Lernens teilen, haben wir mit Google Drive-Tool gearbeitet. 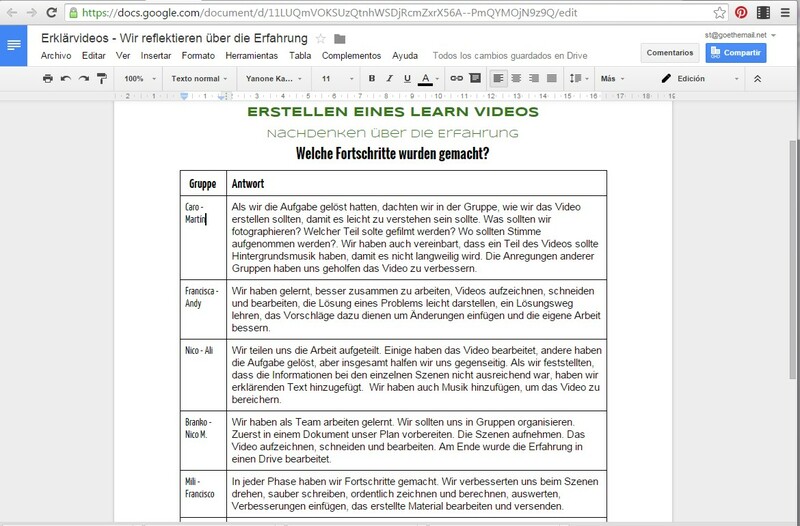 In einem gemeinsamen Dokument äußerten die Schüler ihre Fortschritte und Verbesserungen bei der Erstellung seiner ersten Erklärvideos. Erwähnenswert ist, dass absichtlich habe ich die erste Person Plural im ersten Postabsatz verwendet, weil meine Kommentare auf der Arbeit meiner Schüler die Absicht haben, mit Ihnen (Leser meines Blogs) meine Gedanken austauschen und mein eigenes Lernen, mit Skitch-Tool in diesem Fall, mit Ihnen teilen. Wir haben es selber versucht! 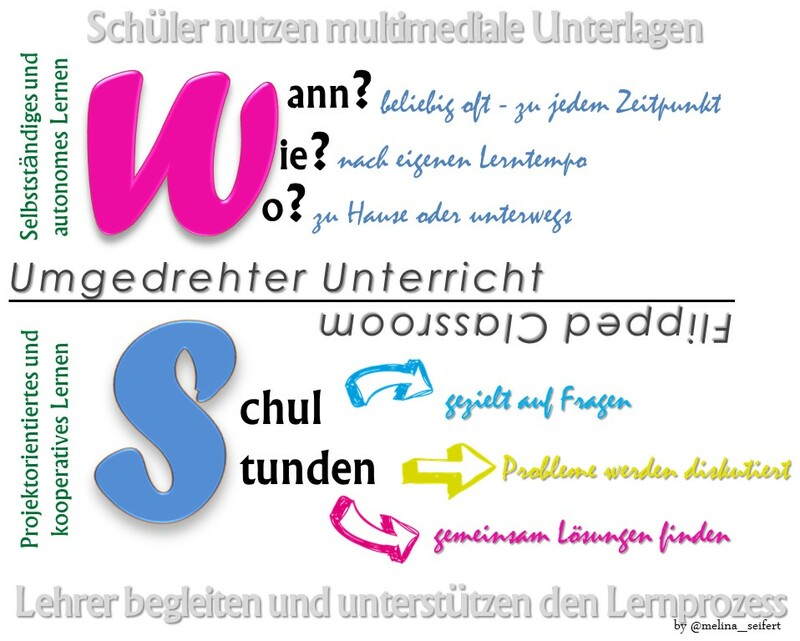 Ich beschloss, meine Schüler zu ermutigen, ihre eigenen Lernvideos zu erstellen. Zufällig gruppiert, sollten sie selber einzelne Aufgaben mittels Erklärvideos erläutern. Verschiedene Textaufgaben wurden in Gruppen bearbeitet. Wir haben mit dem Einsatz von Medien den Lernprozess dokumentiert. Schüler haben gemeinsam über die Erfahrung reflektiert und neue Perspektiven betrachtet. Steht wirklich alles auf dem Kopf? Wir versuchten es ein zweites Mal. Absicht war in diesem Fall, das selstständige Lernen der Schüler zu verstärkern. Der interaktive Umgang mit multimedialen Lernmaterialien sollte den Lernprozess begleiten und unterstützen. Die erteilte Hausaufgabe lautete, sich mit einem bestimmten Thema auseinanderzusetzen, das heißt Lernvideos anzuschauen und zusätzliches Material recherchieren um das erlernte Thema später der Klasse vorzustellen. Was haben Schüler über die Erfahrung kommentiert? „Der Einstieg in das Thema war mit dem Lernvideo einfach.“ S.
„Das Video bietet grundlegende Kenntnisse, um neues Wissen zu verstehen.“ A. „Das Video mehrmals sehen zu können half sich Notizen zu machen.“ F.
„Mit dem Video ist es unterhaltsamer.“ N.
„Es war leichter, es anderen zu erklären.“ C.
„Das Lernvideo war, wie beim Training, die Übung zum Aufwärmen.“ M.
„Ich entschied den Zeitpunkt, an dem ich mein Lernstoff bearbeiten wollte.“ J. „Ich habe das Thema allein verstanden.“ B.
Roland Schröder bei Steht wirklich alles auf dem Kopf?